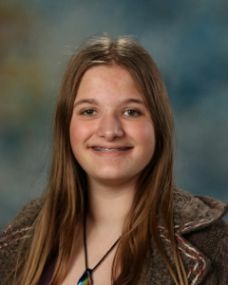 SCA junior Anna Crook was recognized for her accomplishments and aspirations in computing and technology by the 2019 National Center for Women and Information Technology (NCWIT) Western Missouri and Kansas Regional Award for Aspirations in Computing. 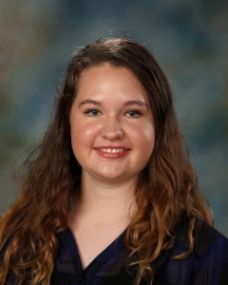 SCA senior Lura Rider was recognized for her accomplishments and aspirations in computing and technology by the 2019 National Center for Women and Information Technology (NCWIT) Western Missouri and Kansas Regional Award for Aspirations in Computing. Summit Christian Academy (SCA) is pleased to announce that senior Lura Rider and junior Anna Crook were recipients of the 2019 National Center for Women and Information Technology (NCWIT) Western Missouri and Kansas Regional Award for Aspirations in Computing. Rider, Honorable Mention, and Crook, Rising Star, were two of 41 female high school students selected for their accomplishments and aspirations in computing and technology. Winners were acknowledged recently at the Kauffman Center for their outstanding aptitude and interest in technology and computing, leadership ability, academic history, and plans for post-secondary education. The NCWIT Award for Aspirations in Computing was created to encourage the computing aspirations of young women while introducing them to leadership opportunities in the field and generating visibility for women’s participation in technology. NCWIT believes that highlighting the accomplishments of young women in technology will further encourage other young women to excel in STEM.